SiteW integrated solution to manage the newsletter sent to your subscribers, members or customers. 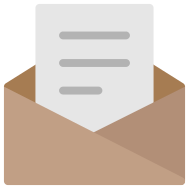 The Newsletter block gives you an easy and useful service for an email periodical sending to your community. Totally integrated in SiteW, this block can avoid subscribing to an external service such as Mailjet or SendInBlue. The Newsletter block is available in the SiteW editor's Content tab.